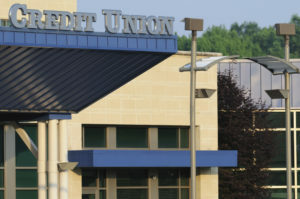 When people join a credit union, they become members with a say in how the organization is run. One of the most important ways members can use their voices is by voting in their credit union election. But they can’t vote in an election they’re not aware of. When members stop into any branch of your credit union, be sure to have employees inform and remind them about the election. Hold an in-person meeting or an “election open house” where members can learn about the election, why their participation matters and meet the candidates. Add incentives. During in-person events, like annual meetings and promotional occasions, add prize drawings and giveaways in exchange for members’ attendance and participation. Release candidate bios in your newsletter to help members get to know the candidates before the election begins. Make it part of an overall education campaign. Send a save the date postcard. Sending ballots without prior warning may confuse members. If they are unsure what to do with the ballot or why their vote is important, they’re more likely to simply discard the materials. A “save the date” postcard with simple educational messaging helps prepare members to vote. Use your social media channels to inform members, ask for feedback, promote the election and get out the vote. If your credit union has an email list, send a dedicated email to alert members when the polls open and remind them to vote. Advertise the upcoming election on the credit union’s website. Better yet, create an election-specific landing page so members visiting your website are sure to see the information. The number one most important step you can take to increase voter turnout in your credit union election is to publicize the nominations process to gather a diverse group of qualified candidates. Uncontested elections rarely draw interest or increase participation, so make it a goal to have multiple candidates and your members will take notice. For more information and creative ideas on how to promote your credit union election, contact us any time. We’re here to help! Do you have suggestions on how to promote a credit union election? Let us know in the comments below.